After a bit of a gap, we’re back with a real cracker - this month we take five youngsters inland goose decoying in Aberdeenshire, plus we talk to top foxshooter Robert Bucknell about big cats roaming the British countryside. After all that turkey and Christmas pudding, what's needed is a bit of fresh air and healthy outdoor exercise. Better still if you can combine it with a spot of conservation work - reducing the population of grey squirrels. OK, there's no red squirrels within miles of my parents' place on the North Downs, but the greys do plenty of damage to forestry, native birds and fruit trees, so we do our best to keep their numbers down. There was a broad cross-section of the family out on the traditional Boxing Day 'poke'. Not to be outdone by her sister's exploits, younger daughter Vicky was out with a 12-bore pump-action Remy 870, a good choice for the squirrels. Chief poker was my dad, ably assisted by the Australian contingent of Deon and Jacob. We worked through the woods, using the segmented poles to poke the squirrel dreys while Emma, Vicky and my brother Nigel stood ready to shoot any that appeared. As is often the case, many of the dreys were empty. But we still managed three, one of them falling to a delighted Vicky. Plus in-between taking the photos I collected a pigeon that was foolish enough to fly within range. All in all, a small victory for conservation, and a good day had by all. Christmas Eve saw the family out at a pheasant shoot near Horsham in Sussex, where my mum had generously given up her gun so my elder daughter Emma could get her first taste of driven pheasant shooting. It's always a friendly, family-based shoot, and all the more so being so close to Christmas. It was touching to see everyone, from the beaters to the shoot owner, making Emma feel welcome - and genuinely thrilled when she shot her first pheasant. The bird was kept separate from the main bag so that Emma could bring it home, and after a few days' hanging it will be turned into a very special meal. Winning young shots with their geese: Jonathan Spink, Connor Petch, Michelle Rewcastle, Martin Clayton and Richard Parker. Spent 3 days in Aberdeenshire with our prizewinning young shots, who won the competition in the magazine earlier this year for two days of goose and duck shooting with noted goose guide Andrew Richardson of Safari in Scotland. Andrew laid on the trip of a lifetime for the five youngsters, starting with an unforgettable dawn decoying session on a field of winter barley. We arrived in pitch dark (and minus 6 degrees!). Andrew's partner, Mark, set up a hide against a wall, with a pattern of huge "magnum" goose decoys that looked as big as bathtubs! As the sky lightened we were treated to the awesome sight and sound of thousands of pinkfeet heading from their roost straight towards our decoys. Time after time small groups would break off, set their wings, and glide in to the pattern. The youngsters shot well, and eventually Mark called a halt when they had reached their bag limit of six geese each - a total of 30 pinks in the bag. That evening we went flighting ducks at a local pond. It was virtually dark when the first ducks appeared, looking like shadows against the darkening sky (hence the rather dark video below). Once again the youngsters shot remarkably well, and put a total of 24 mallard and wigeon in the bag. Finally, the next morning we went out for another goose flight. This time the geese were less eager to come in to the decoys. Mark and Andrew reckoned this was because they had been feeding under the moon the night before. We still saw literally thousands of geese, and our young shots managed a bag of six between them, so a good time was had by all. We would have had another duck flight in the evening, but by now all the ponds in the area were frozen over. Congratulations to our winning young shots - you can read about their adventure in the March issue of Sporting Shooter. While I was in Aberdeenshire with Andrew and Mark of Safari in Scotland, conditions came right for flighting geese under the moon. Andrew explained that this is something that happens so rarely that most shooters only experience a moonflight once or twice in a lifetime, so it was a real privilege. The moon needs to be between three-quarters and full, and you need a thin, even cloud cover. The cloud is lit up by the moon, and provides a light backdrop against which you can see the geese; too much cloud and it's just too dark, too little and you can't see them against the black night sky. We set off to a field of winter barley after dinner; Mark was already there and had a couple of geese. The scene was magical - the hazy moon shining down through the cloud, lighting up the frosty winter barley enough that we could walk around easily with no need for a torch. The pinks seemed to be all around us, calling loudly, with Andy and Mark using their calls to try to lure them close enough. We stayed on the field for a couple of hours in a temperature of minus 8, and I was so excited to be there I never even noticed the cold. Eventually the cloud thinned out too much, and we could no longer see the birds even straight over our heads. By then there were six pinks in the bag. It was a wonderful experience, one of those things that money just can't buy. I feel very lucky. Footnote: Cold weather clothing Standing around in temperatures as low as -8degC needs some serious clothing. I was wearing, on my upper body: long-sleeved T-shirt, microfleece shirt, fleece jacket, and a Deerhunter outer fleece with a wetlands-type Realtree camo pattern. On my legs: fleece trousers (same material as the fleece top, with Shark waterproof trousers over. On my head: wool/acrylic balaclava, plus wool hat. Feet: thin socks, thick socks and a pair of Dubarry boots. Hands were a problem, as my well insulated skiing gloves made it impossible to operate the camera. In the end I wore a skiing glove on my left hand, and woollen mitt on my right; the fingers on my right hand went numb, but at least I could still work the shutter. Wearing that lot, I was comfortable enough so long as I was out of the wind. If it had been very windy, or raining, a heavier and waterproof top coat would have been needed, plus a hood or waterproof hat, and perhaps a scarf. It was fun to meet Suburban Bushwacker today, and later to read his comments... As Robbie Burns said: O would some power the giftie gie us, to see ourselves as others see us. Apparently I come across as "a quintessential English journalist afield". I can live with that; it could be a lot worse! I was inspired by SBW's enthusiasm to throw himself into shooting, hunting and eating, and more than happy to offer advice and practical help where I can. With fewer and fewer people being brought up the country way, every urban (or suburban) convert has to be a step in the right direction. I hope we can feature SBW's progress in the mag (and on this blog) as he gets involved in activities like ferreting, learns about guns and shooting, and ultimately reaches his goal of shooting and cooking his own dinner. Meanwhile, I have to head north to watch some young readers shoot geese in Aberdeenshire. I don't suppose we'll get much of an internet connection in the hotel, so you'll have to wait for my return to find out how we got on. And if I'm not back in time, Happy Christmas! There's a lesson for shooting here. Animal Aid took to the streets of Reading to protest about Labour MP Martin Salter's stance on shooting (broadly supportive). To his credit, he stood firm: “Nothing will ever satisfy these animal rights extremists," he told the Reading Evening Post. But look at how the animal nutters made their protest. They dressed up as pantomime tweeded toffs. Why? Because everyone loves to hate an arrogant upper class twit. So if you want the public to support a ban on shooting, you encourage them to believe shooters are like that. It worked when they wanted to ban hunting, and they hope it will work again with shooting. Shooting associations take note. Your spokesmen should never talk with a remotely posh accent, and should never dress in tweed, or you're playing into their hands. Imagine my surprise when I turned on the TV last night to see a handful of British teenagers hunting wild boar with a pack of dogs and spears - on the BBC no less, and at prime evening viewing time too. The boar was chased with dogs and brought to bay at the top of a waterfall. Eventually it was goaded over the edge and splashed into the pool below, where one of the intrepid lads stabbed it to death with a sharpened bamboo pole. The proud hunter carried his prize home, where it was roasted and enjoyed by the hunting party and their friends and relatives. Most surprising of all was the tone of the programme. The teenagers were praised for their enthusiasm and determination. The narrator pointed out that this was healthy, natural food. Nobody asked the animal rights nutters for their opinion. This is Can Fat Teens Hunt? a programme that takes ten "dangerously overweight" teenagers to live the hunter-gatherer lifestyle with the Iban tribe in Borneo - in the hope they will discover a new respect for food, and for themselves and their own bodies. I'm torn between hating the crassness of the theme, and loving the idea of the BBC showing hunting in such a positive light. Not long ago, political correctness would have stamped on the very idea of this type of programme. Now it's just a logical extension of "extreme reality" programmes and the growing fad for "getting back to nature" by killing your own food (demonstrated by Jamie Oliver, Wild Gourmets, Roadkill Chef and many more). In fact, the BBC's obsession with animals being killed to eat is becoming almost morbid, with Kill It, Cook It, Eat It tracing an animal's journey from farm to plate. Along the way "a group of specially invited people, from vegetarians to meat enthusiasts, will witness the slaughter," gloats the press release. Still, it demonstrates a refreshing honesty about where food comes from, which in my experience is stimulating a new interest in shooting and other aspects of the countryside. 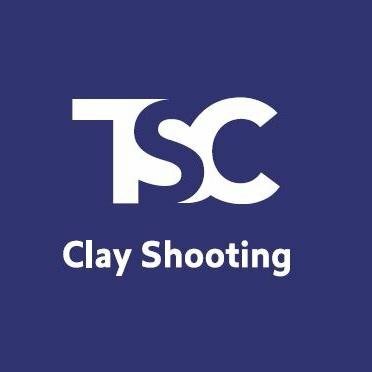 Shooters should not just welcome this new trend, we should be jumping on the bandwagon! JJ Vickers kindly loaned me a pair of their Bushnell 'Infinity' 10.5x45 binoculars a few weeks back. The pre-Christmas rush has made it difficult to give them a thorough test, but so far I've been hugely impressed. In a nutshell, they are rubber-armoured, rugged, and claim to be lightweight, waterproof and fogproof. At £420 (£400 for the 8.5x45s) they're not exactly cheap, but they're not the most expensive binoculars around either. Neither are they exactly lightweight, at 723g (25.5oz in old money). I imagine that if you were mugged, they would make a handy weapon, swung by the strap - and they're that solid I bet they'd still work fine afterwards. Waterproof? Well I was tempted to leave them in the garden pond for a couple of days, but guessed that Vickers might not be amused. They certainly look like they ought to be waterproof, and with that promise from Bushnell I can't believe they're anything but. (My Nikons never claimed to be waterproof, and sure enough they weren't, as I discovered when the dog unfortunately covered them with diarrhoea – I washed them off under the tap, and then spent a week trying to dry out the insides; they've never been quite the same since). Back to the Bushnells: I like the focus adjustment, a large wheel that falls naturally under your fingers, and has raised rubber ribs making it easy to turn precisely. I find it useful to keep nudging the focus back and forth as I scan with binoculars, which helps with the old trick of looking through cover rather than at it. The wheel turns smoothly, and makes this easy to do. The wheel also incorporates the adjustment of one eye relative to the other, in a rather clever way. A bit like changing the date on your watch, you pop the wheel out slightly until it clicks. Turn it a little this way and that, until the two images are correctly focused. Then pop the wheel back it, and the setting is saved for good - or at least until you decide to alter it. It's simple, it works, and it doesn't get knocked out of alignment, or messed up by the first numpty who decides to take a look through your binoculars and can't resist fiddling. For people who wear glasses (like me) the eyepieces are easily retracted with a quick twist (about a quarter-turn) to allow a full view with glasses, or extended again to give proper eye-relief for those lucky folk who don't need glasses (and therefore aren't unduly hampered on a drizzly day!). Other features: well, the strap attachment is rather over-engineered, in my opinion. Each end of the strap has a plastic stud, which snaps into a kind of keyhole arrangement in the body of the binoculars, with a sprung plastic latch to stop it slipping out again. It works, and it allows the binoculars to hinge on the stud. But it is bulkier than necessary, and I found it turns too easily, allowing the strap to get twisted as you put the binos down on the car seat and pick them up again, etc. I'd sooner have a simple recessed bar that the strap can pass through. Still, that's a relatively minor point. The strap itself is nice and wide, and well padded, making it comfortable to carry round the neck. I found it ridiculously long, and cut it down to a sensible length with a hot knife (sorry Vickers!). There's a plastic cover for the eyepieces, with a ridged, flexible joining piece between the cups so it fits regardless of how far apart you've set the eyepieces. The strap passes through a slot , ensuring that the cover can't get lost. Someone has obviously put a bit of thought into this, and yet it still doesn't really work! You'd think that by now someone would have come up with the definitive lens cover for binoculars that just worked - something like those flip-up scope covers, for instance, that keep the lenses totally protected yet flips out of the way in an instant when you want to look through them. I've used all sorts of binoculars, including some seriously expensive models, and the lens covers all have their faults. Anyway, enough beating about the bush; what are they like to look through? After all, that's what it's all about. In a word, amazing! I've been using my pair of Nikon 8x42s for years, and I often feel smug when I compare them even to more expensive binos belonging to other shooters. The image is bright and sharp, and they seem to cut through twilight and deep shadow. These Bushnells are on another level. They are brighter, sharper, and they let me see more in twilight than I can with the Nikons - by a considerable margin. I really can spot deer etc with these some time after they've disappeared into a grey blur through my Nikons. And that's despite the fact that these give 10.5x magnification against the Nikons' 8x, so in theory they have a smaller exit pupil and shouldn't perform so well in twilight. No doubt the 8.5x45s are better still. The image is sharp, clear and bright right across the field of view (approx 100m @ 1000m), with excellent contrast and definition. Outstanding! Nowadays you can buy surprisingly good optics for silly money in the high street, and many shooters choose to go that route, thinking of them as 'disposable' items that can be replaced cheaply when they fail. Then there are those (usually spending the estate's money rather than their own hard-earned) who go the 'buy the best' route. These Bushnells fall somewhere between those two extremes. Their optical quality is outstanding, yet they're a good deal cheaper than the top-end stuff from the likes of Zeiss and Leica. For the average pigeon shooter or stalker who takes care of his gear and appreciates quality, they are going to be a very tempting option. If you're thinking of paying out serious money on a pair of binos, I'd recommend you take a look at these first. Hypocrisy is a wonderful thing. If you'd asked me last week what I thought about awards, you'd have got a cynical answer. Now I'm the proud recipient of an editorial award from my employers Archant – and I'm rather enjoying all the attention. That photo of me and the ferrets has appeared in the Archant newsletter, and my equally hardworking and talented colleagues are getting every so slightly fed up with being told how blooming marvellous James is. I'm just back from a fascinating trip to Scotland, courtesy of Italian gunmaker Benelli who are keen to promote their 20-bore semi-autos for rough shooting. Our group of 35 comprised gun distributors and sporting journalists from all over Europe. 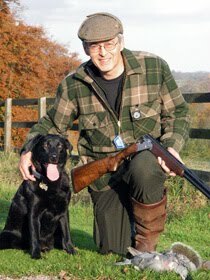 We stayed at the fabulous Gleneagles Hotel, and split into four groups for two days of mixed shooting an hour or so's drive from the hotel, all booked through Graeme Irvine who acts as Benelli/Montefeltro's sporting agent for Scotland. My group included Karl Waktare and Robert Frampton from UK Benelli distributor GMK, Alistair Balmain from Shooting Times, Benelli commercial director Lucio Porreca and chief engineer Tito Micheli, and a couple of Romanians whose names I never did catch and couldn't have spelt. The first day did for them anyway, so they missed out on the second day. First day we went to the Cardross Estate near Aberfoyle, where we walked for what seemed like a very long time through some fabulous woodcock country - a tangle of birch scrub with a peaty, mossy floor and patches of dry bracken. There weren't many woodcock in evidence, but I managed to bag one with the last shot of the day. I was most touched by Tito's reaction to the bird - talk about respect for the quarry, the Italians really do love the woodcock. Next day we travelled to the Urlar Estate near Aberfeldy, where keeper Craig Morris and his team (including wife Jane and children Emma and Craig jr) laid on a great mixed day, with driven partridges, pheasants and duck. A light fall of snow added to the atmosphere of the day. That's us pictured at the top of this post - from the left: Karl, Alistair, Tito, Craig, Lucio, Robert, underkeeper Tom McKenzie, Jane, me, and Craig jr. Here's Alistair taking a fine shot at a partridge on the first drive. If you look closely you can see the empty shell ejecting from his Benelli 20-bore; not something you'll see often at a driven shoot in Britain. What was it like shooting driven birds with a semi-auto? You'll have to read our February issue to find out (on sale at the beginning of Jan). Among the many lovely people I met on this trip, I really must mention Mick Tarbet who drove the minibus on the second day. We chatted non-stop there and back, covering every subject from crows to muntjac to fishing flies. He's a knowledgeable chap, and I learnt some useful tricks with snares, "duck's arse" feathers and much more. Plus it turns out there are several people we both know, including Jim Tod at Tarvie. Small world. I was touched when, at the end of the day, Mick insisted on giving me his stick, a lovely sturdy piece topped with the antler of a deer he shot. I anticipated problems getting it past airport security, but the staff at Edinburgh Airport didn't bat an eyelid - they just stuck a label round it and put it through as "oversize baggage". I shall look forward to using the stick, which will always bring back memories of the trip. People sometimes tell me I must have the most amazing job, with loads of invitations to shoot. Well, it's not like that most of the time, but after this trip I really do feel very lucky indeed to be able to combine earning a living with my passion for shooting and the outdoors. I'm off to the House of Commons tonight for a posh dinner with the All Party Group on Shooting & Conservation. "Airport-style security" warns the invitation, so this morning I cleared my pockets of anything that might be construed as an offensive weapon, including the rather fine Spyderco pocket knife that I normally carry everywhere. It's all pretty pointless of course. Having relieved us of anything sharp and pointy, I've no doubt they'll serve us wine in eminently smashable glass bottles. But you have to play along with these characters; they have little commonsense, even less sense of humour, and they carry rigid Hiatt Speedcuffs designed to apply pain compliance. So I even removed the fishing flies that have taken up residence in my tweed cap, in case an eager security guard mistook them for some sort of secret weapon. Which made it all the more alarming when I was idly fiddling with the lining of my suit jacket and felt these - a pair of dummy .17HMR rounds we'd used for a photo shoot months ago, and which had somehow slipped through a hole in my pocket. Oops! They're totally inert and harmless, of course, but I don't think that would have helped much. Fingers crossed there are no more nasties lurking about my person. I wouldn't want to give them an excuse for the full bodysearch. What is Tooth & Claw? Sure it's a book, an image library and a website. But it's also a campaign, and an idea. I've had a sneak preview of the book, and it's stunning. 200-plus pages of some of the best wildlife photography I've seen, by Peter Cairns and Mark Hamblin. 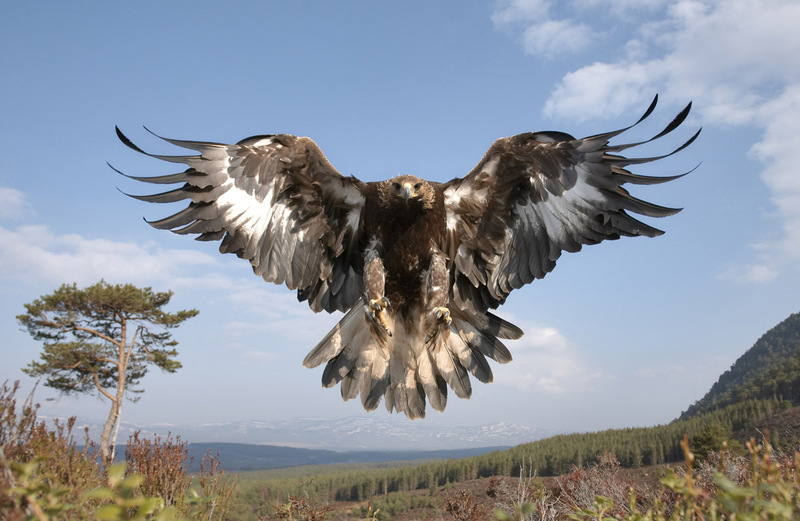 Here are wolves, sea eagles, foxes, seals and wild cats like you've never seen them before. We all love to look at beautiful photos of wildlife. It's like that moment when you're waiting for pigeons and a sparrowhawk screams past. Or you're watching through the binoculars and see a fox pouncing on a vole. You feel privileged to see one of nature's athletes doing what it does best. But the breathtaking images are merely the window dressing for something much deeper. The book sets out to make us reassess how we feel about predators. Like the foxshooter's lamp, it shines a million-candlepower beam on something that was previously hidden in the dark. 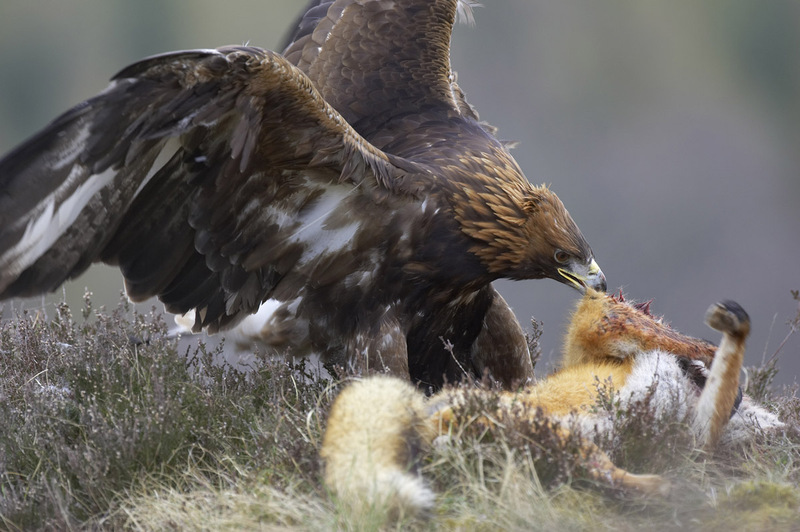 The authors fearlessly tackle subjects from foxhunting to keeping pet cats to reintroducing predators like sea eagles, wolves and bears to Britain's countryside. They talk to people on all sides of the debate - preservationists, conservationists, scientists, shooters, keepers and hunters. And which side are they on? Frustratingly, they don't let on. What comes through is their belief in talking openly and honestly about the way we live with predators. That's not easy to do in an area where everyone starts from an entrenched position and an attitude of "you're either with us or against us". But that's what Peter Cairns and Mark Hamblin have done, and they've done it very well. 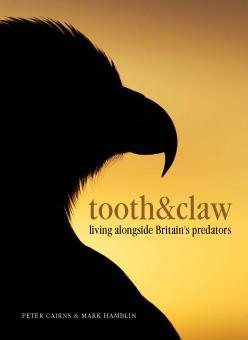 I think this book marks a turning point in the way we talk about predators in Britain. Some of the old school will find it hard to take, but I believe that the debate it sparks can only be good for shooting, shooters, the countryside, and for the predators themselves. Find out more (and order a copy of the book) at the Tooth & Claw website. I've been catching, preparing and eating fish for years, so goodness knows why I haven't come across this trick before. Basically, it's a quick and easy way to remove the bones and leave the flesh and skin intact, ready for cooking. First, gut the fish and trim off the head, tail and fins. Now put your knife down. You don't need it for the next bit - honest! Place the fish stomach-down on the chopping board with the tail end towards you and the head end away. Spread out the flaps you made when you slit the stomach, so it stands up on its own. Now the clever bit. With your hands on either side, use your thumbs to press down hard on the backbone. You'll feel it give, as if you have squished the fish flat. Actually this is the backbone coming away from the flesh. Repeat all down the backbone. Then pick it up, find the head-end of the backbone, and pull it away from the flesh. It will come away easily, taking most of the bones with it. You can then fold the fish back together, cook it flat, or cut the two halves apart, depending on how you want to cook it. I tried the technique with herrings, and it worked brilliantly. I wondered if it would be possible to slice through the flesh at the head, but leave the backbone intact. That could make it even easier to remove the backbone in one piece. I ran out of herrings to experiment with, but I'll try it next time.